A common question that children ask their parents is, "There's a Fathers' Day and a Mothers' Day - when is Children's Day?" The parent's stock reply is, "Everyday is Children's Day!" Well, that is technically not true because November 20th is Universal Children's Day according to UN General Assembly resolution 836(IX) signed on 14th December 1954. 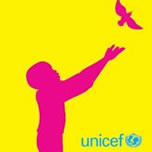 November 20th marks the day in 1959 when the Assembly adopted the Declaration of the Rights of the Child recommending that all countries institute a day of worldwide fraternity and understanding between children, promoting the ideals and objectives of the Charter, and the welfare of children around the world. Every day, 30,000 children under the age of five die around the world from hunger and/or preventable diseases; yes, that's 11,000,000 children a year. A figure incomprehensible to most of us, yet it happens despite being a problem with a solution. Money is that answer and it is a simple amount that many of us give our children as pocket money each week. It boggles the mind to realise that on the same planet, sometimes the same continent or even country, one child wants sweets, magazines, CDs or new trainers, while another just wants food. We have written many times in Ovi that this 'other' world has become another item on the news, it could easily be on another planet and we have become emotionally detached, perhaps desensitised, to images of abject suffering. As widespread as the suffering is internationally, we must not forget that children suffer in our home country too. They are homeless in our own cities and towns, they could be violently abused by parents in our own postcode area and maybe one of your neighbour's children could need protection from sexual abuse. There are children in trouble on our doorsteps, not just on the TV screens as we eat our dinner, and we may even know their name. There are dozens of different organisations helping children in a variety of situations from war and famine to orphans and domestic abuse, but that does not mean we can relax our individual vigilance. UNICEF, the World Health Organization, Amnesty International, the Child Labour Coalition, Children Now, Defence for Children International, Global Children's Organization, Human Rights Watch, International Save the Children Alliance and NetAid all exist because of one heartbreaking reason: children need help and protection. What would it feel like to live in a world where these organisations are obsolete? I guess the question should be: How can our conscience allow 30,000 children under five to die every single day from malnutrition, disease and illness that can all be cured? How can we sit watching news reports of people waiting for days to buy the new Playstation 3 or Nintendo Wii, while the broadcast is followed by UN reports of both warring sides in Sri Lanka using children as soldiers? What sort of people have we become? If you are in Helsinki tonight (Monday 20th November) and would like to support a children's cancer ward, then head down to the Aussie Bar, Salomonkatu 5, Kamppi and take part in their charity evening beginning at 1900. There are appearances by Mikko Sipola (troubadour), Bryn Jones (troubadour), Jegermistro (rock duo), Malcolm Matson (magician) and Jone Perusteli from Finnish Idols (compare).